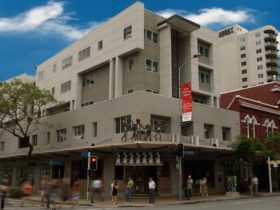 If you’re looking for accommodation in Brisbane that’s walking distance to all the main attractions, Mantra on Mary is in the ideal position for you. 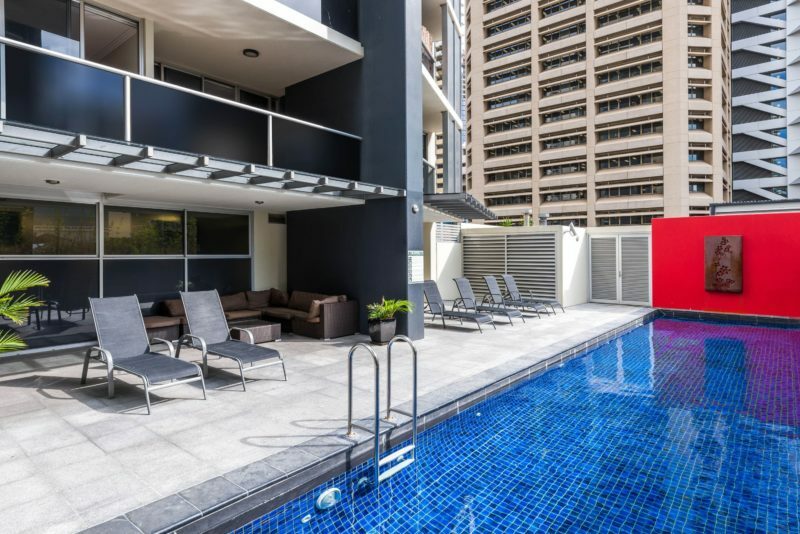 In this thriving city, these contemporary and spacious apartments will be your escape. 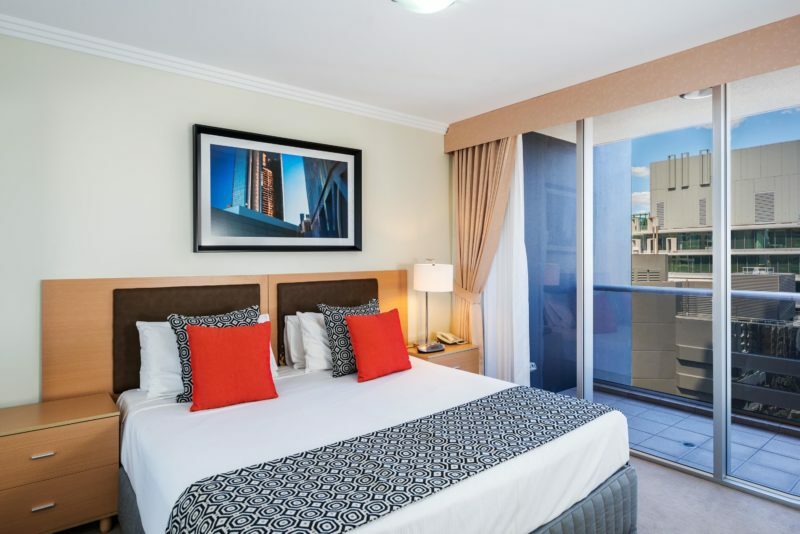 Ideal for the business traveller, there is an array of One Bedroom Apartments to choose from, all designed with a fully equipped kitchen, laundry, air conditioning and wi-fi access, meaning your stay will be as comfortable as possible. 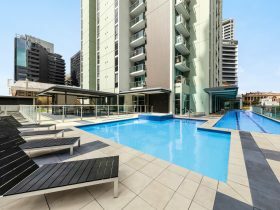 For those travelling to Brisbane with a larger group, there is also the option of a Three Bedroom Apartment which is configured with two Queen beds and two Single beds. Boasting facilities designed to provide convenience; you can easily fit in a workout at the gymnasium or outdoor swimming pool, relax in the sauna or at the Aquarius Health and Medispa. Dining is also made easy with the barbecue area and Café M70 on the ground floor. 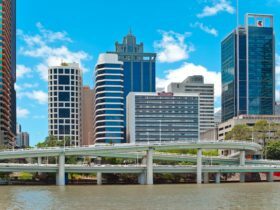 Wine and dine at Eagle Street Pier, enjoy a spot of shopping at Queen Street Mall, embrace Brisbane’s cultural side at Southbank or try your luck at Treasury Casino. Limited car park availability, fees apply. 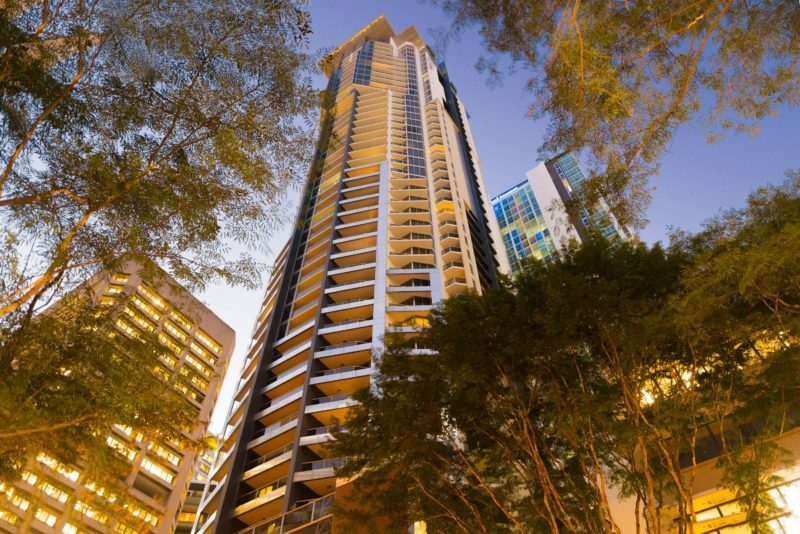 The 1 Bedroom Apartment boasts spectacular river and city views from your balcony. Spacious apartments feature separate study, lounge/dining area, fully equipped kitchen, laundry facilities. The 1 Bedroom Apartment features a separate study/single room, providing an affordable option for young families or friends sharing. 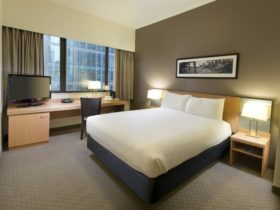 Spacious apartments feature separate study, lounge/dining area, fully equipped kitchen, laundry facilities. Stay in a modern spacious one bedroom balcony apartment with separate study, full kitchen and laundry. 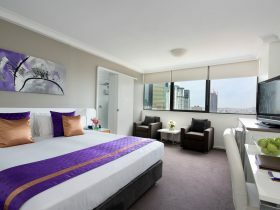 Luxurious three bedroom two bathroom apartment. Featuring a spa bath, fully equipped kitchen and laundry, with a large, open plan living and dining area. Self-contained one bedroom apartment with study, lounge/dining area, fully equipped kitchen, laundry facilities. Please note standard rooms are non-smoking and have no balcony.